October 31, 2013 - The U.S. Department of Transportation’s Federal Aviation Administration (FAA) Administrator Michael Huerta today announced that the FAA has determined that airlines can safely expand passenger use of Portable Electronic Devices (PEDs) during all phases of flight, and is immediately providing the airlines with implementation guidance. Passengers will eventually be able to read e-books, play games, and watch videos on their devices during all phases of flight, with very limited exceptions. Electronic items, books and magazines, must be held or put in the seat back pocket during the actual takeoff and landing roll. Cell phones should be in airplane mode or with cellular service disabled – i.e., no signal bars displayed—and cannot be used for voice communications based on FCC regulations that prohibit any airborne calls using cell phones. 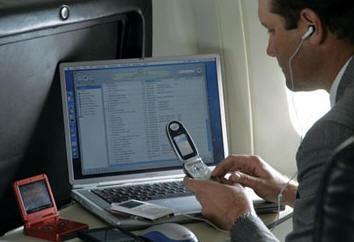 If your air carrier provides Wi-Fi service during flight, you may use those services. You can also continue to use short-range Bluetooth accessories, like wireless keyboards. The PED Aviation Rulemaking Committee (ARC) concluded most commercial airplanes can tolerate radio interference signals from PEDs. In a recent report, they recommended that the FAA provide airlines with new procedures to assess if their airplanes can tolerate radio interference from PEDs. Once an airline verifies the tolerance of its fleet, it can allow passengers to use handheld, lightweight electronic devices – such as tablets, e-readers, and smartphones—at all altitudes. In rare instances of low-visibility, the crew will instruct passengers to turn off their devices during landing. The group also recommended that heavier devices should be safely stowed under seats or in overhead bins during takeoff and landing. The FAA did not consider changing the regulations regarding the use of cell phones for voice communications during flight because the issue is under the jurisdiction of the Federal Communications Commission (FCC). The ARC did recommend that the FAA consult with the Federal Communications Commission (FCC) to review its current rules. Cell phones differ from most PEDs in that they are designed to send out signals strong enough to be received at great distances. Current FAA regulations require an aircraft operator to determine that radio frequency interference from PEDs is not a flight safety risk before the operator authorizes them for use during certain phases of flight. Even PEDs that do not intentionally transmit signals can emit unintentional radio energy. This energy may affect aircraft safety because the signals can occur at the same frequencies used by the plane’s highly sensitive communications, navigation, flight control and electronic equipment. An airline must show it can prevent potential interference that could pose a safety hazard. The PED ARC report helps the FAA to guide airlines through determining that they can safely allow widespread use of PEDs. The PED ARC began work in January, at the request of Administrator Huerta, to determine if it is safe to allow more widespread use of electronic devices in today’s aircraft. The group also reviewed the public’s comments in response to an August 2012 FAA notice on current policy, guidance, and procedures that aircraft operators use when determining if passengers can use PEDs.